London born Michael Mohnblatt, has a proven track-record of philanthropic management in Israel at the highest professional level. 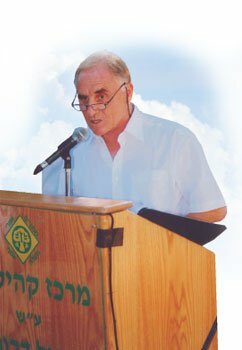 In his senior role as the United Jewish Israel Appeal Director in Israel , he represented the varied and diverse interests of UK Donors/Foundations/Charities for 40 consecutive years. His broad and in-depth knowledge of every facet of the complex world of charitable funding in Israel makes him one of the country’s leading experts in the field. As he exclusively engaged with UK Donors and Charitable Foundations for over three decades, Michael Mohnblatt is best positioned to represent, manage and respond to the growing demand for accountable and professional representation in Israel for British Donors, Charitable Trusts and Family Foundations. He has enlisted a prestigious group of professionals with significant experience in their fields to create Michael Mohnblatt & Associates – a new and elite Philanthropic Consultancy operation in Israel.